Looking for deals in Venice? Al Theatro Palace is set in Venice, a few steps from La Fenice Theater. Free WiFi is available throughout the property. Loved this place! It was fairly close to the vaporetto so I only crossed 2 bridges to get there. It was in a very quiet area but also close to everything. Only a 5 minuet walk to St Marks Square, but none of the crowds. Staff was super friendly and helpful and the room very nice and extremely clean. The bathroom was huge which is rare. It’s not on the canal, but I preferred the quiet over the noise. Highly recommend! Featuring a wellness center, Hotel Ai Reali - Small Luxury Hotels of the World offers modern elegant rooms with air conditioning and free Wi-Fi. This hotel was absolutely wonderful and the staff were amazing in ensuring our experience was an amazing one. We went to Venice as part of our honeymoon and the entire experience was fantastic. Set 262 feet from Saint Mark's Square, Baglioni Hotel Luna offers impressive interiors with original frescoes and stunning views across the lagoon. The bathroom was awesome, really big, great design, with great products for the hair and face. Hotel Flora features a nice leafy courtyard where a varied breakfast buffet is served every morning. Set in a 17th-century building, it is a 5-minute walk from St Mark’s Square. Great location, amazing friendly staff, the most comfortable bed and pillows! Very clean! Santa Croce Boutique Hotel is located in the Santa Croce district of Venice, and is a 10-minute walk from both Venice Santa Lucia Train Station and Rialto Bridge. The staff was very friendly and helpful. We enjoyed everything about the facility. Dating back to the 1400s, Ca' Dei Polo is next to Tolentini Church and 5 minutes' walk from Piazzale Roma, Venice's main bus station. It features a large terrace overlooking the Grand Canal. Everyone was friendly and helpful. Featuring free WiFi throughout the property, Hotel ai do Mori offers accommodations in in Venice, a few steps from St. Mark Basilica. Rooms have a flat-screen TV and are air conditioned. This hotel exceeded my expectations! Hotel Rio is in the center of Venice, just 270 yards from Saint Mark’s Square. Free Wi-Fi access is available in all areas. The location, it is very comfortable and clean. 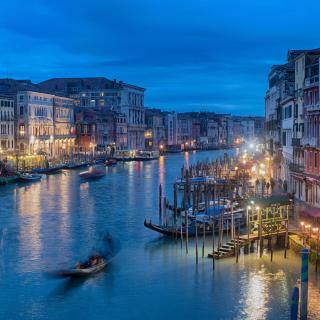 Hotel Cannaregio 2357 is in Venice's central Cannaregio district, 558 feet from Venice Casino. It offers air-conditioned rooms, discounts on a nearby partner private parking, and free WiFi throughout.... cleanliness, staff, breakfast and location is perfect! Locanda Silva is a small, cozy hotel managed by the Perut family and located in the heart of Venice, near Saint Mark's Square. Loved location and staff. No lift but we were on 2 so ok. Breakfast great! This elegant 12th century building was once home to the Doge Marino Falier. Just 984 feet from Rialto Bridge, it offers elegant rooms with antique furniture and original paintings. Great location. Very helpful staff. Excellent value for money. Hotel Firenze is right next to Saint Mark's Square in the heart of Venice. Rooms come with free Wi-Fi and air conditioning. Breakfast can be served on the rooftop terrace with views of the tower bell.... The staff, unbelievable helpful and cordial. Their recommendations always the best. Set in a 15th-century building behind St. Mark’s Square, the small, elegant Relais Venezia is located in one of the city's oldest and smallest streets. All rooms have a flat-screen TV. The location is perfect and the staffs are kind. Which hotels in Venice offer an especially good breakfast? For hotels in Venice that serve highly-rated breakfasts, try Belmond Hotel Cipriani, Corte Di Gabriela, and Hotel Moresco. Which hotels in Venice have nice views? Belmond Hotel Cipriani, Liassidi Wellness Suites, and Santa Croce Boutique Hotel got great room view-related reviews from travelers in Venice. What are the best hotels in Venice near Piazza San Marco? Some of the best hotels in Venice near Piazza San Marco include Residenza Ca' Brighella, Morettino and Rosa Salva Hotel. What are the best hotels in Venice near Marco Polo Airport? Travelers who stayed in Venice near Marco Polo Airport (VCE) have said good things about Annia Park Hotel Venice Airport, Courtyard by Marriott Venice Airport, and Hotel Gronda Lagunare. How much is a hotel in Venice for tonight? On average, it costs $103 per night to book a 3-star hotel in Venice for tonight. You'll pay around $166 if you choose to stay in a 4-star hotel tonight, while a 5-star hotel in Venice will cost around $406, on average (based on Booking.com prices). Which hotels in Venice are good for families? Many families visiting Venice loved staying at Hotel Moresco, Santa Croce Boutique Hotel, and Hotel Nani Mocenigo Palace. How much is a hotel in Venice for this weekend? The average price per night for a 3-star hotel in Venice this weekend is $459 or, for a 4-star hotel, $736. Looking for something even fancier? 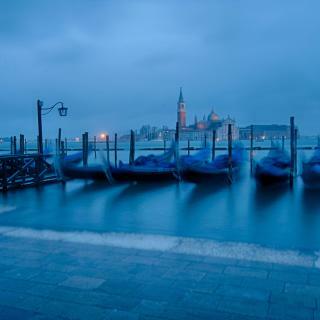 5-star hotels in Venice for this weekend cost around $7,735 per night, on average (based on Booking.com prices). Which neighborhood is the best one to stay at in Venice? San Marco, Cannaregio, and Dorsoduro are popular with other travelers visiting Venice. Which hotels in Venice are good for couples? These hotels in Venice are highly rated by couples: Hotel Moresco, Hotel Nani Mocenigo Palace, and Corte Di Gabriela. Which hotels are the best ones to stay at in Venice? Rosa Salva Hotel, Hotel A La Commedia, and Palazzo Veneziano are some of the popular hotels in Venice. How much does it cost to stay in a hotel in Venice? 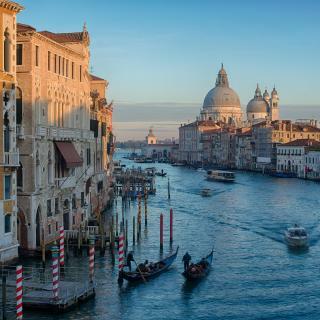 On average, 3-star hotels in Venice cost $112 per night, and 4-star hotels in Venice are $193 per night. If you're looking for something really special, a 5-star hotel in Venice can be found for $489 per night, on average (based on Booking.com prices). Renowned for its romantic charm, the entire city of Venice is listed as a UNESCO World Heritage Site. Spread across 118 islands, formed by 177 canals and connected by 409 bridges this city is truly magnificent. Its breath-taking architecture and spectacular art entice millions to experience its history and beauty every year. From San Marco Square with the Doge’s Palace to the lively Jewish Ghetto, Venice can be both opulent and down to earth. Visit the Rialto Market and the charming Rialto Bridge and then take a gondola ride through the canals before learning how Venetian and Murano glass is made. The city’s churches, piazzas and museums are all worth a visit and can be easily reached within a short walk. The Venetian Carnival is an unforgettable experience, with or without a mask. The latest trends in modern art are on display at the Venice Biennale and Italy's cinema take center stage at the world’s oldest Film Festival. 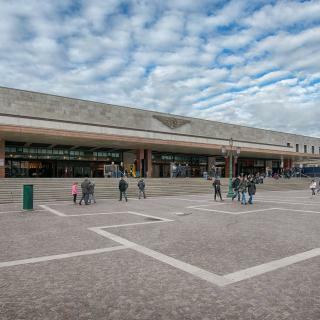 Buses and boats run from Marco Polo International Airport and Treviso Airport to the city center. From luxury hotels, to comfortable B&B, to self-catered apartments, Booking.com has great accommodations for your trip to Venice. The city is amazing. Our accommodations at Hotel Anastasia were awful. I would not recommend this hotel at all. We ate at Raphaellas and Restaurante has de Georgi. Amazing food and service. We walked everywhere. Very busy Easter week though. GREAT TIP: As you land at San Marco and have luggage, ask for a porter. It's well worth the $15/$20 not to drag your luggage behind you. #2 Tip: The porters can take you directly to your hotel...and there are lots & lots & lots of hotels!! The fun was getting "lost" after you reached your hotel and decided to take a stroll. There must be 7 ways to Sunday to get to Hotel Alla Fava, through alley ways and up & down the bridges...a new adventure each time! Found the best place [very small] to grab a sandwich or hot snack and/or a glass [or 2] of wine...in the alley way, very near Hotel Alla Fava. The counter guy was so friendly and funny...joked with everyone. He finally told us his nationality [Albanian], while telling customers that I was paying for the cookies he was handing out. Of course, there was no charge to me, and we really got a good laugh from watching the customers faces! Many of them gave us their email and invited us to visit ...Germany & England. OH YES! St. Mark's and the Doge Palace were remarkable. 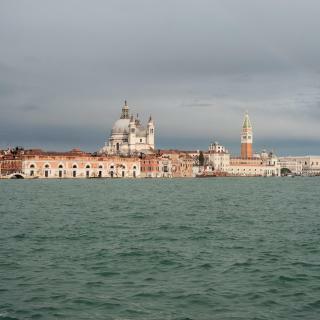 DOWNSIDE: after May 18th, six  cruise ships "released" their passengers onto San Marco... I swear, there must have been 17,000 people milling about the Square! Fun transportation via tour boats to other places in Venice. Da Rioba great affordable restaurant. Da Rioba great affordable restaurant. Opera in a palace that moved each act to a different room and singers in rooms with you not on stage. Madonna restaurant with seafood. Lunch at Danieli Hotel rooftop with spectaclar view, service & food. Enjoy Venice, but be prepared. Staying at a 15th century building that's been converted to modern standards. I felt like I was living in Shakespear's time. 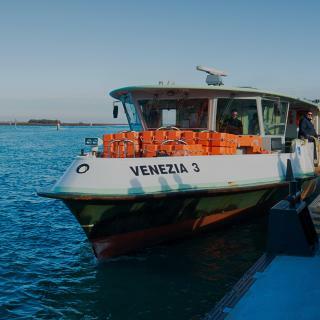 Many sites in Venice are accessible only by foot, water bus, and/or water taxi. To get to my hotel, I had to take a shuttle bus from the airport to the central plaza. I then took a water bus to the stop near the hotel. I then had to walk several blocks towing the luggage to the hotel. The hotel doesn't have elevators or bell hops, so I had to carry the luggage to my room. Do not take a water taxi as it is expensive. The streets don't have signs so use a map or memorize your route. Cannaregio district, 500 yards from Venice Grand Canal, Al Mascaron Ridente hotel location was excellent. We had the rialto room that was spacious and comfortable. Breakfast is fresh and plentiful. The street nearby had wonderful bars and restaurants. Locals stopping for an aperetivo. Great wine bar (mezzopieno bacaro) near the metal bridge that goes over to the Jewish Ghetto on Fondamenta Ormesini. Must visit, lovely husband and wife team, knowledgable and friendly. Paradiso Perduto for cicchetti, Osteria Al Mariner for the squid ink risotto and Ormesini da Aldo for beers, spritz and 5 euro bellinis. Location far enough away from the crowds but near enough to get everywhere we needed. And we walked everywhere. Cips Club for lunch was a worthwhile treat. St marks square and surroundings too busy. Get a map and walk all the other areas. Get yourself booked into the Hotel Carnival and eat at the Pontini (Cannaregio 1268 - 301201 for dinner of fresh fish and lasagne and local red wine. Eat crosstini's and drink red wine in the Osteria Al Squero opposite the gondala repairs yard. Walk as much as you like but buy a water bus ticket for two days and see Venice form the Grand Canal. Check out The Gritti Palace hotel for the Hollywood elite but prepare to pay for it through the cost of superior quality and service. 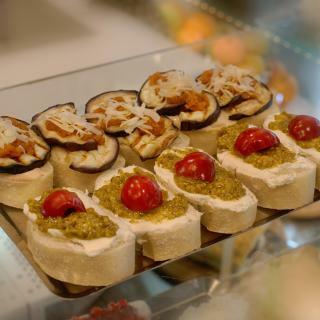 See all the cultural landmarks and head down to the Rialto market for fabulous fresh foodstuff. 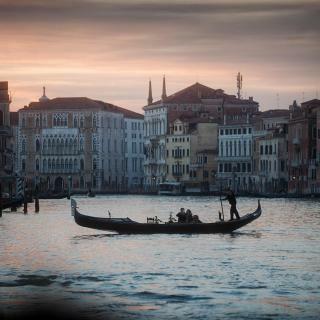 Pay for a Gondala ride and get lost in Venice. Venice is a memorable place etched on the chambers of our heart forever more. If you are after convenience and want to save time, this hotel is a nice choice. It is only 5 minutes walk from the S. Lucia train station and easy to find. Their staff speak really good English and they gave us an informative introduction upon check in. They are very welcoming and friendly. The room is clean and with new modern decor. The breakfast provides a variety of choices. Overall it’s one of our best experiences staying in Italy during our two week visit there. We arrived are were upgraded to the best windows on San Marco square which provide one of the best views you found imagine in such a beautiful city. The facilities were as expected and on the luxurious side. The reception staff answered all questions and queries with consideration of the individuals needs and plans. The room was large and the bathroom exquisite. Very venitian and well worth a visit. One of the better hotels I have stayed in in Italy. The owner was great to let us check in earlier. Bed was very comfortable and room and bathroom were very spatious (we had the superior room).Location is great as you can travel the city by foot, half way between Piazzale Roma and the city center. It is also near to two vaporetto stations. We were also amazed about Wi-Fi connect which we found fast for hotels in Italy. Room and bathroom were clean. The place is situated very close to the centre of Venice. Moreover, I must appreciate fast answering of host in case unexpectedly problems with heating system. We visited Italy in March. The appartament is situated in district of Venice, where is not so many tourists as in the others districts. The fish shop with fresh squids, octopuses and crabs is next to this apartament. Incredebly white sheets, towels, very clean,great location, very friendly staff, cozy room and big comfotabel bed. There is a hairdryer, really hot water and warm room - what sometimes is a problem in Italy during the winter:) only one tip-if you come to check in no one is opening the door, do not worry, call straight to owner and he will explain everything to you. If there is a place and person that deserves 5 stars in all of Italy is Analissa. Great place, location and attention. She makes you feel like home.very spacious, private bathroom, air conditioner, laundry machine, big kitchen and fast internet. Right in the center of everything and very easy to find. Very safe area and great breakfast and prices down stairs. The best hotel I have ever stayed in! Should be rated as 4 star boutique hotel for service alone. They cannot do enough for you...A true retreat in the heart of Venice. The daily menu served from 3pm is a light homemade meal. As a handbag traveller was amazed to find mosquito plug in the room along with strong aircon and perfume plug. That alone is service. I very much liked this property, it was my final stop across Italy & it was by far the best room. It had amazing decor throughout the room/hotel, modern bathroom & a comfortable bed. The location was good however a little hard to find as you are not allowed signage. Other than that I can not fault the hotel. Perfect location. Great to see Tallest bell tower from room. But, would’ve assumed the rooms were nicer based upon pictures and $$$. Stayed in nicer cheaper rooms around Italy (maybe Venice more expensive on avg.). I may try a different place if I ever get back, but that’s a great back-up. Very nice hotel. More comfortable than usual 3 star. It is a real luxury to live 2 steps away from Accademia bridge and start your day in the very heart of Venice. And I was their in January and it was warm inside which is also very important for the hotel in Italy in winter. It’s near Fabiana filippi corner and tods shops. You found it when you see this one. And is the only one with so heating in November all the others hotel in Italy are really so cold. In this one they have air condition all day open for you and make it like your home. This was the nicest apartment we stayed in during three weeks in Italy. So comfortable and beautifully appointed! Everything worked including the air conditioner which we needed during our stay. I would stay at this property ten times over. Beautiful hotel off the beaten bath. Quiet. Also near the best fresh pasta place in all of Italy. Very good gnoccheria is next door go try it! This was a great hotel! The room was lovely. And they have the best black out curtains! This was also the best breakfast out of all of the hotels we stayed at in Italy. Highly recommend.